2. When is payment charged to my credit or debit card? 4. Do your prices include VAT? 5. How much will postage and packaging cost me? 6. How long will it take for me to get my order? Are your delivery dates guaranteed? 7. Do you deliver to Northern Ireland, Isle of Wight, Anglesey and Republic of Ireland? 8. What happens if I'm not in when you deliver? 9. Can I track my order progress? 10. What should I do if I receive damaged or incomplete goods? 11. How do I obtain a refund for returned goods? 12. How much are your call charges? 13. I am new to internet shopping and would like some help, what should I do? 14. Can I have my ring re-sized? There are three ways to buy products from Rocks & Co.: On our website, from our dedicated UK sales call centre on (+44) 0800 931 3333 or with our android mobile App. Your card will be charged at the point of purchase, when you checkout. This applies to all Creation and non Creation jewellery. We accept payments with the following debit/credit cards: Visa Credit, Visa Debit, Mastercard, Mastercard Debit. Yes, we're based in the UK, so our site shows all prices inclusive of VAT. Postage and Packaging is £4.95 regardless of how many items you order between 8am and midnight. You can keep adding to your shopping basket as we will consolidate your items into one single order so you only pay the £4.95 shipping charge once. For standard items we aim to deliver your jewellery within 7 working days, although this occasionally takes longer during busy periods. Unfortunately, delivery dates cannot be guaranteed. For Creation items we aim to have your order with you within up to 25 working days; however with the nature of any type of custom creation, things can sometimes unfortunately take a little longer, so with this in mind we will always aim to keep you updated if this is the case. If you have not received your jewellery within up to 25 working days please contact our customer services team. Our number is (+44) 0800 931 3333 and we are available from 8am to midnight, 7 days a week. Unfortunately we do not deliver to the Republic of Ireland, we only deliver to addresses within the UK with a postcode, including Northern Ireland, Isle of Wight and Anglesey. If you reside within the non-mainland areas mentioned you still only pay £4.95 and can take advantage of all the other postage rates offered to mainland UK customers. Most of our products are dispatched by our nominated carrier and will usually require a valid signature as proof of delivery (POD). If you are not in when your goods arrive by courier, a card will be put through your door giving details of the attempted delivery as well as contact details for the courier company. You will need to contact them to arrange another delivery time. If this fails, the goods will be returned to Rocks & Co. Please try and provide us with an address where there will be someone available to sign for the delivery, for example we can deliver to your place of work if that makes things easier for you. Yes, just provide us with an email address at the point of order. We can then send you an order confirmation when all orders you have placed in any one day have been processed. We will also send you a despatch confirmation once your orders have left our warehouse. This will provide you with a parcel number linked to our nominated courier's website allowing you to track your order. Please call our customer services centre on (+44) 0800 931 3333 (open daily from 8am to midnight). You will be entitled to a replacement (if stock is available), exchange or a full refund including the cost of postage. As per normal we will ask you to return it to us via Royal Mail Special Delivery. While we will cover this cost, we will not be held responsible for meeting the cost of return by any other method or any loss in transit that may occur. We provide refunds as per our terms and conditions. Please see our Returns Policy for further details. Calls to our 0800 numbers are free from landlines and mobiles. Just give our friendly customer services team a call and we will happily talk you through any queries you have. Our number is (+44) 0800 931 3333 and we are available from 8am to midnight, 7 days a week. Rocks & Co. now have an exclusive partnership with one of the leading craftsmanship companies in the jewellery industry – A&A Jewellery. Thanks to this great partnership, A&A Jewellery will be offering unbelievable prices to our customers for any jewellery services required. 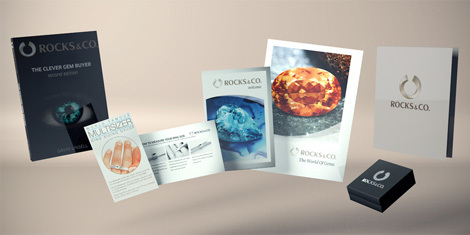 The prices quoted below are trade prices from A&A Jewellery and will be offered exclusively to Rocks & Co. customers. All that A&A Jewellery will require is proof that the item was bought from Rocks & Co. (i.e. an invoice for the piece). Please feel free to call the below number for any jewellery related query, A&A Jewellery offer a variety of different jewellery services with the below being the most popular.